Electric cars may seem to be the latest line of trendy vehicles, but their concept and design date back nearly two centuries and are actually older than gas-powered automobiles. It wasn’t until gasoline became more readily available that people shifted away from the electric model. As we begin to face climate change, electric cars are on the rise again and may become the future of transportation. In the mid-1800s, electric cars were developed with on-board acid batteries. The design was nearly impossible because the batteries were huge. The size shift in these new batteries allows them to power regular-sized vehicles we use today. In the 1880s, electric vehicles were beginning to see use in France, the United Kingdom, and Germany. Personal use was uncommon early on. Many electric vehicles were used inside mines for coal transport. They are powered without consuming oxygen, which is much safer for miners. The biggest limitation for personal and commercial use was poor infrastructure. Most roads were made for horse and buggy and therefore were not easily maneuverable for motorized vehicles. 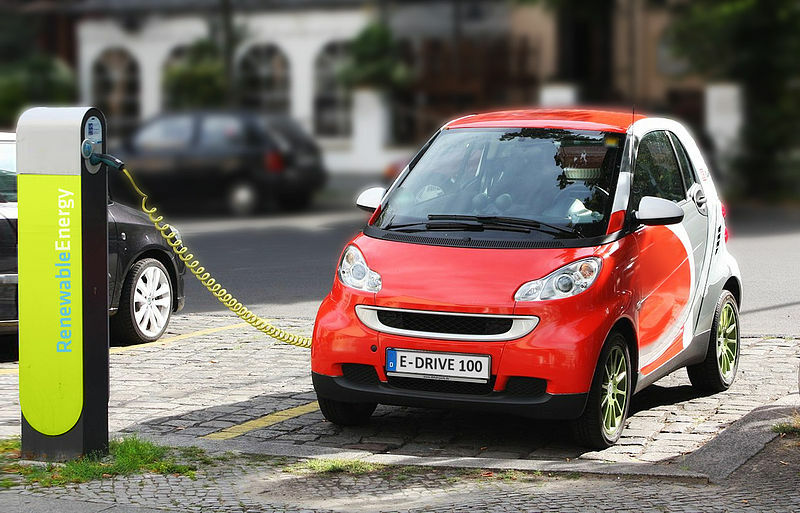 At the tail end of the 1800s, electric cars became more widespread in Europe. Electric taxis showed up in London before the turn of the century. Gasoline-powered vehicles with internal combustion engines also appeared on the market but were quickly associated with the bitter smell of gasoline so they weren’t as popular as electric vehicles. As electricity became more widely available, particularly in America, electric cars were also more accessible and grew as a commodity. Early electric cars suffered from lower speeds, in comparison to their gasoline and steam-powered counterparts. They were marketed as cars for women because they were so simple to operate. Electric vehicles fell out of style and behind in affordability in the 1900s, when gasoline became more easily accessible worldwide. Gasoline-powered engines were more economical to use and had greater range and speed. This made them a better option than electric vehicles. Now the reality of our climate crisis is receiving attention, leading engineers to rethink how we can efficiently power cars with a renewable resource. When Henry Ford began mass-production of his vehicles, gasoline-powered cars were exceptionally cheaper and electric cars quickly fell out of widespread use. Roads were being developed with motorized vehicles in mind, so the limited range and slow speed of electric vehicles became a liability for the increasingly mobile public. The motors that powered these old electric cars saw other application in the 1900s. Plenty of short-range vehicles were products of the electric car decline, including industrial equipment like forklifts and leisure vehicles like golf carts. Eventually, the first vehicle driven on the moon was an electric battery-powered Lunar Rover. On Earth, the electric car was still a niche concept. It wasn’t until the 1990s and early 2000s that the interest and development of electric vehicles restarted. The energy crises in the 70s and 80s paired with various environmentalist movements led to mass criticism. Many started to argue that our heavy reliance on gasoline would be a nightmare in the future. Between the effect of greenhouse gas emissions and the fact that gas will eventually run out, it was time for a new plan. Larger car companies began developing hybrid electric and gasoline cars to scale back pollution and cut costs on gasoline. There was a push, particularly in California, to shift to cars with zero-emissions, which led car companies back to electric motors. However, public interest is still in the direction of larger, sport-utility vehicles (mostly in America). Which only makes marketing electric and hybrid vehicles even more difficult and costly. Another energy crisis in the early 2000s brought hybrid and electric vehicles to the forefront of the public again. Models like the Toyota Prius were marketed as energy efficient, and as neighborhood electric vehicles were used as town cars, the concept spread internationally. These are still fairly common outside of the United States as low-speed and low-cost alternatives for city travel. The rise of modern electric vehicles started with Tesla in 2004, when they produced the first highway-legal electric vehicle, the Tesla Roadster. Since then, other large auto manufacturers have produced electric vehicles of increasing speed and charge duration. One of the largest limitations electric vehicles face hasn’t changed — they are slower and have less mobility range. However, advances in batteries have improved these restraints, even in affordable models like the Ford Focus. Finding a place to charge up can be a challenge for these car owners. Charging stations, particularly in the United States, are much more difficult to come by than a good old gas station. Luckily, the popularity of electric vehicles appears to be growing. Especially as green and affordable alternatives to gas-powered vehicles become crucial. Although they suffer from modern equivalents to their 19th-century ancestors, they ride the road to a more sustainable future.